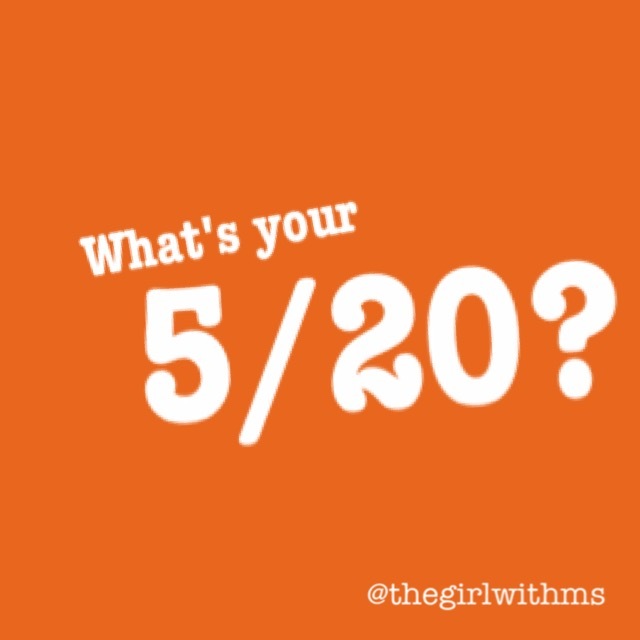 Time to implement the 5/20 aka “five-twenty” - my new plan to do some centering prior to the holidays. So often folks make big, rash changes in their lives when maybe just a small adjustment will do the job. Summer is over and boy did I have a great one! Lots of fun making memories. Now that fall is here the rush of meetings, work, family and holidays is on the approach. With this rush comes the desire to speed through life. We start to breath too quickly and too shallow. We eat in our cars and on the hoof as we walk around multitasking. We lose our graceful intentions in life and it's these intentions that help ground us. Each morning my 5/20 happens before anything else. Or at least before I hop on the computer and start working. Taking time to breathe deep.